Criteria: H3: Be associated with a nationally, regionally, or locally prominent person or organization; deceased 25 years; A7: Exemplify an architectural style, construction technique or building type once common in the City. Details: Pilasters at corners; window trim and crowns. Plan: Rectangular with wing on east elevation. 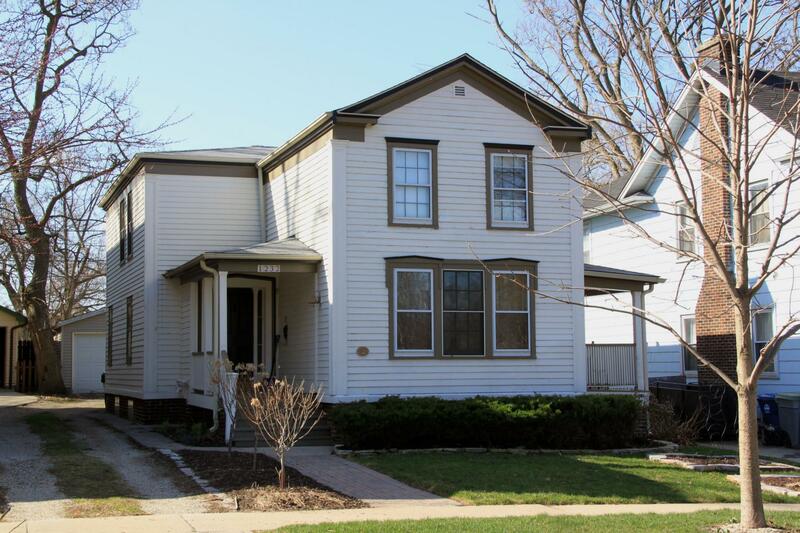 Historic Features: Front gable with returns; full porch on west elevations; entry porch on east elevation. Exterior Alteration Permits: BP12826, 1924.02.09, 18x18x12 frame GAR, $275; BP 21394, 1936.09.05, enclose rear POR, $500; BP 93-27165, 1993.22.04, detached 400sq. ft. GAR, $7700, CON Pierce, J. E.
Historic Info: Granted landmark status on 1985.12.03, Ordinance 23-0-85.